The effect of plasma surface engineering on average surface roughness, wettability and gamma ray attenuation properties of AISI316L standard steel sample were carried out. The results showed an increase in surface roughness accompanied with an increase in the surface energy and a decrease in the contact angle of N316L sample treated by plasma carbonitriding. The experimental measurements of gamma ray attenuation properties of the investigated stainless steel alloys were carried out using gamma lines emitted from 232Th and 60Co gamma ray sources. The attenuation parameters such as linear and mass attenuation coefficients and half value layer were determined experimentally and theoretically. The obtained results indicated that the rf plasma surface treatment is an effective method for developing the surface tribological properties of treated stainless steel alloy without any change in the gamma ray attenuation properties. 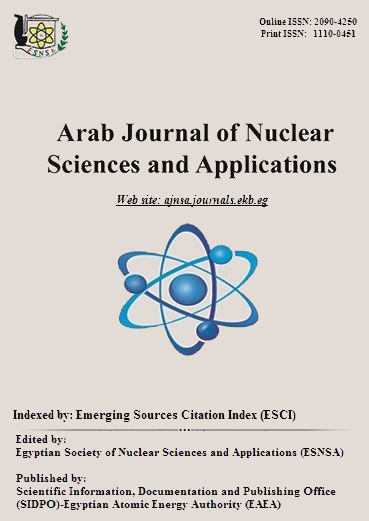 The obtained results suggest the suitability of N316L for in-core applications of nuclear reactor systems.